This soil can be used with most bonsai species. It's a great free draining soil. It also holds in moisture too. It's open free draining structure promotes healthy root growth and allows the roots to breath Significantly reducing the risk of over watering & root rot. 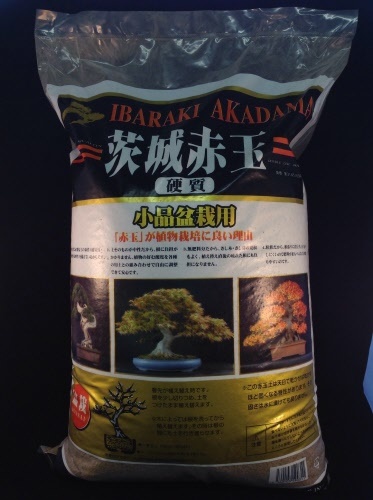 This fine grade Akadama great for shohin size bonsai or as a top dressing for all other sized bonsai. This can transform the look of a bonsai when used as a top dressing. This is the Ibaraki brand and is harder and holds it's structure better than some other brands available.